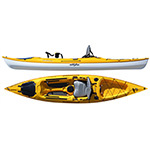 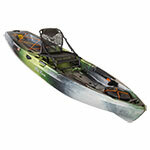 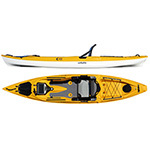 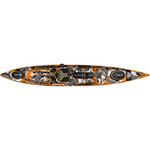 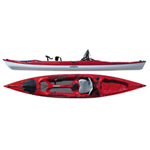 At Clavey we carry the fishing kayaks that anglers consistently ask for. 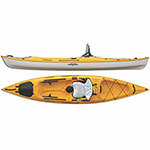 Specifically, we carry the Trident series from Ocean Kayak, the Eddyline Carribean and the Old Town Topwater Series. 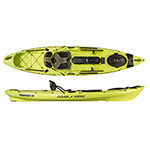 The Modular Fish Pod (Mod Pod), on the Ocean Kayak Trident Series is feature rich that keeps all your essentials on-deck and in the hull organized and easy to access. 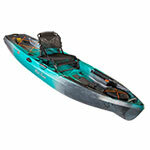 Eddyline brings their lightweight thermoform technology to their Caribbean series. 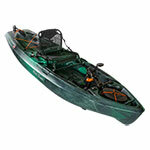 We also carry Old Town Topwater 106, 120 and 106 PDL (pedal drive) that makes fishing even easier. 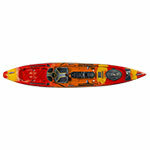 We also carry a wide array of all the greatest fishing accessories that you can add to any kayak.